The original itinerary for this trip promised to be really great. 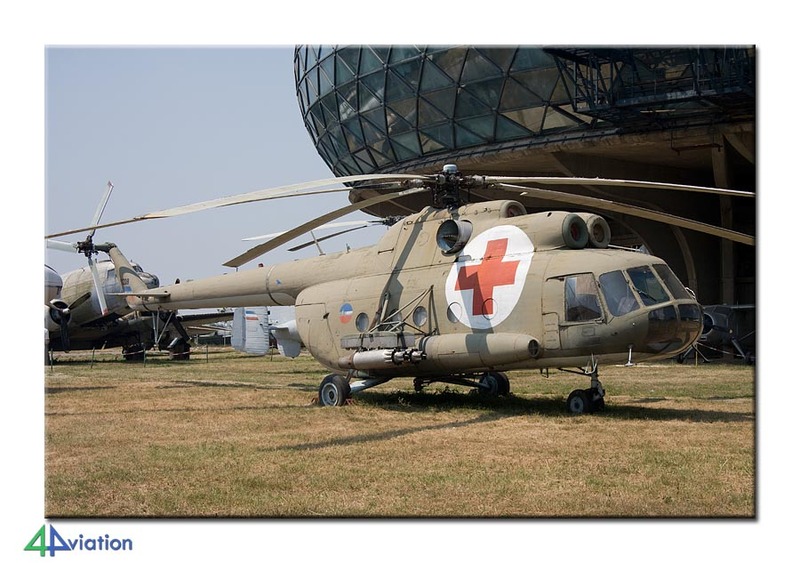 The Kecskemet air show on 1 August, combined with the open day at Batajnica a day later and the huge museum at the Belgrade IAP. The Kecskemet show was cancelled fairly soon, so we had to reschedule. And only a week before the start of the trip, we were informed about the cancellation of the Batajnica open day! Out of the original group of sixteen, eight guys still found it interesting to go and so the group joined up in a Belgrade hotel on 1 August 2009. All had arrived the day before, or actually the night before, coming from either the UK or Amsterdam. 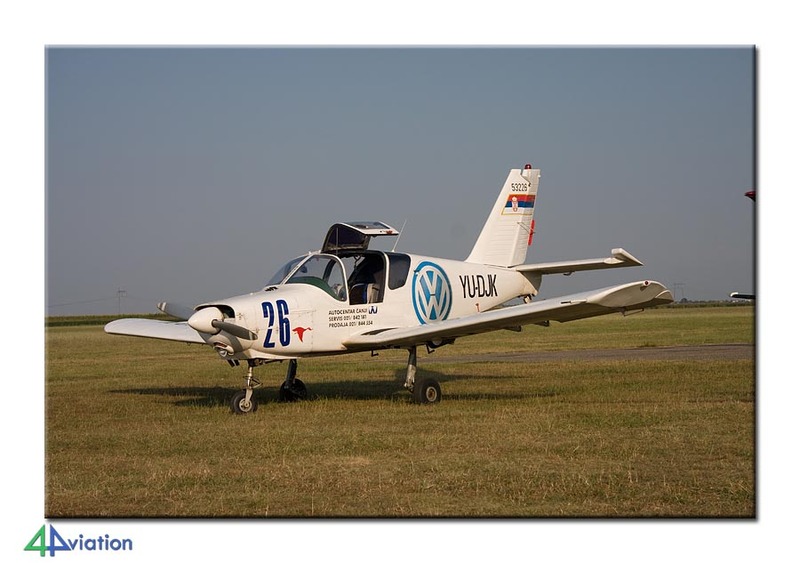 After fetching the rental van and picking up the group in the hotel we went a few minutes north to the first airfield; Padinska Skela-Lisičji Jarak, to collect stored aircraft and civil ones with a military history. A huge number of locations was visited during the day (Belgrade IAP, Novi San, Zrenjanin-Ecka, etc. ), apart from the huge museum in Belgrade; Muzeum Vazduhoplovstva – Beograd. Although we knew that there was no air show, we decided to check it one more time at Batajnica. Indeed, no go. We were allowed to photograph the gate guards at the main gate and at Moma. At the end of the day a good meal and a couple of drinks were enjoyed after 21.00. After a northern loop on the first full day we scheduled a southern loop for the second day. We started with a good breakfast and by 08.00 we were heading for Pančevo. This day, Sunday 2 August, also brought a fair number of locations. 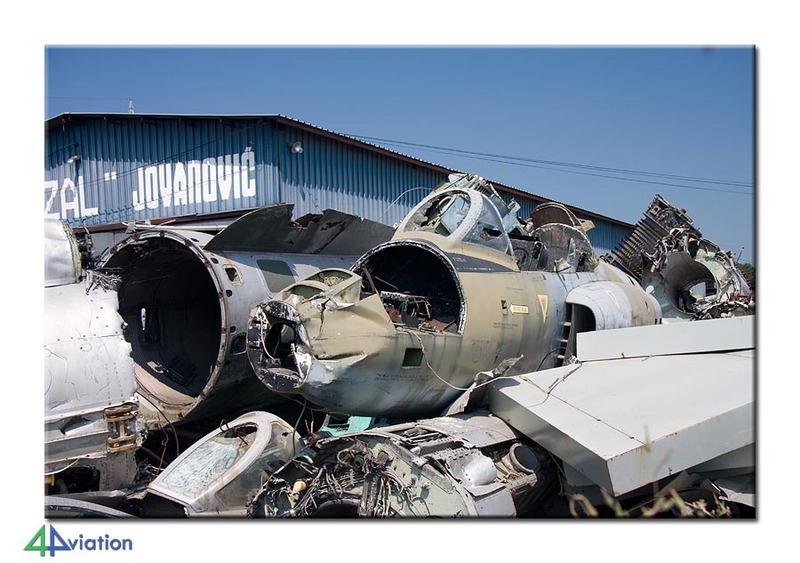 The final one being Barjkovac, where a T-33 is preserved. The T-33 has the RT-33 windows in the nose. 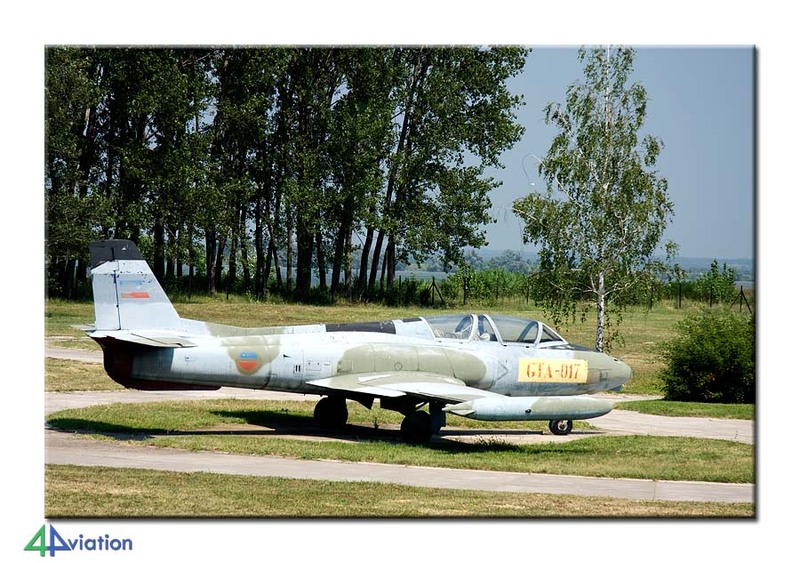 It was called IT-33A in Yugoslav service. There was a large party in town, with music and a market. As it was very busy it took a bit of time to reach the T-33. People were dancing on the wings, but it was still looking good. On the final day, Monday 3 August, some missing spots were visited before boarding the plane back home. It was a real shame that both shows of the original itinerary had been cancelled and even more as the ‘best’ was cancelled last minute. 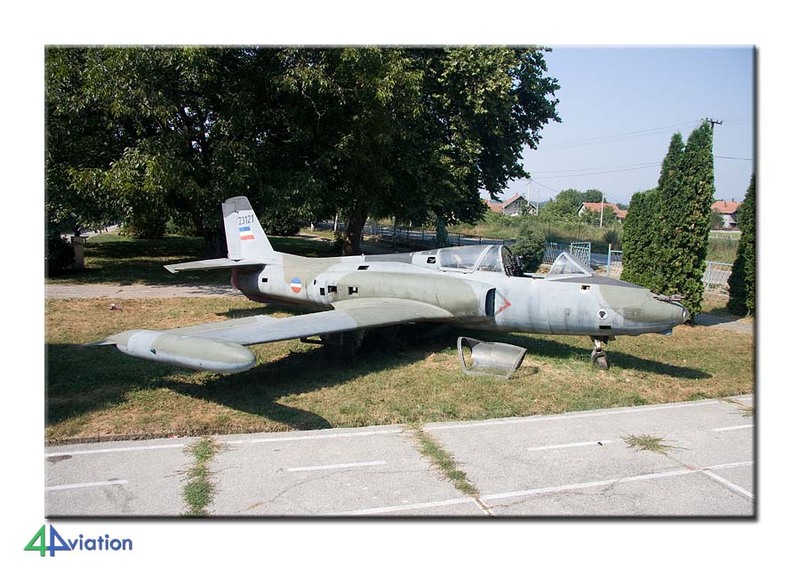 Because of this not many operational Serbian aircraft were seen during our stay. 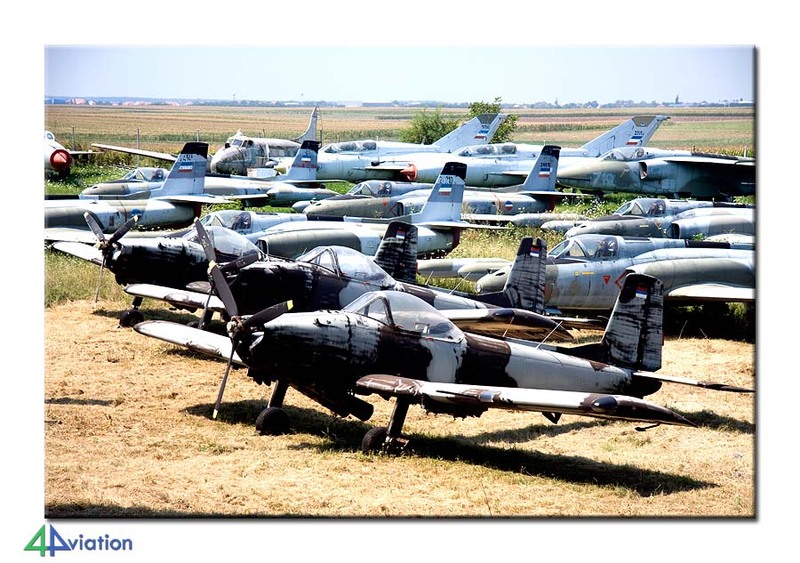 On the other hand we saw over 200 (former) military aircraft at 27 different locations, the majority being seen at the excellent museum in Belgrade. Many of these W&R could be photographed without any problems. A lot of the smaller airfields also house a couple of An-2s or other interesting smaller aircraft. A short movie clip of the trip is available at YouTube.